FULTON, NY – Betty J. Keding, 89, of Fulton, passed away on Thursday, May 4, 2017, at home. She was born on May 3, 1928, in Fulton, a daughter to the late Wilfred and Lena May Donovan Licourt. Betty worked at Armstrong World Industries in Fulton and Overhead Door Company in Granby over the years. She enjoyed doing crafts and gardening. Betty was predeceased by her husband, Robert, in 1999. 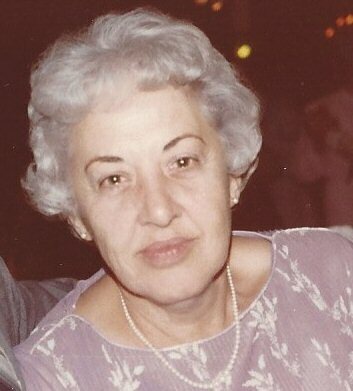 She will be greatly missed and forever loved by her two children, Paula (Tony) DeSanto of Mexico and Jeff (Tammy) Keding of Hannibal; three grandchildren, Cori DeSanto, Cali DeSanto and Jami Keding; two step-grandchildren, Josh Marsh and Jake Marsh; two brothers, Arthur Licourt and Wilfred “JR” Licourt; one sister, Barbara Jaquin; as well as numerous nieces and nephews. Calling hours will be held on Wednesday, May 10, from 10 a.m. to noon at Foster Funeral Home, 910 Fay St., Fulton. A funeral service will follow at noon. For those wishing, contributions may be made to Friends of Oswego County Hospice, P.O. Box 102, Oswego, New York 13126 in Betty’s memory.